On April 21, 2014, I was standing near the finish line of the Boston Marathon. It had already been an emotional day because this was the first marathon since the deadly bombing at the finish line a year earlier. I was on the air describing the results of the women's race, when Here & Now's Robin Young asked me: "What about the men?" I looked toward the finish line and saw just one man headed toward that line: Meb Keflezighi. 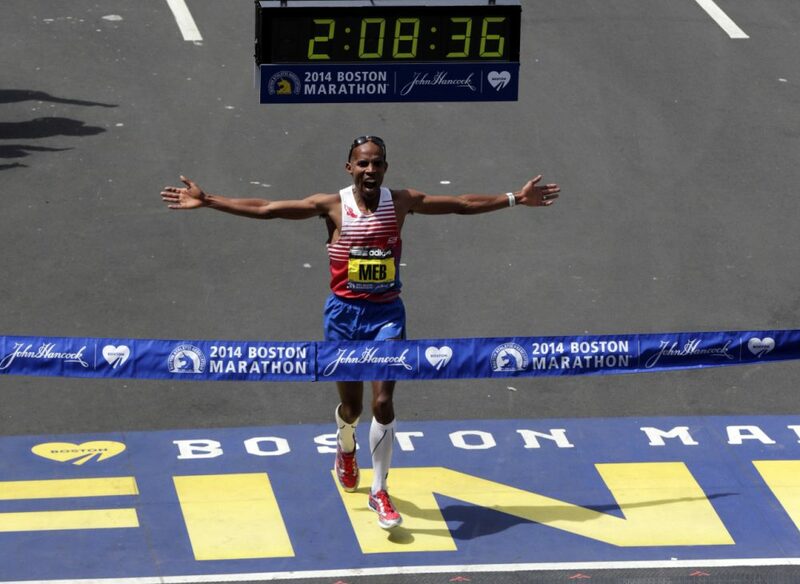 He broke the tape and became the first American man to win the open race at the Boston Marathon since 1983. Keflezighi's story is particularly American. His family fled civil war in Eritrea, eventually settling in San Diego. He started running as a schoolboy, went on to star at UCLA, and won a silver medal in the Olympic Marathon in Athens in 2004. He also won the New York Marathon in 2009. He remains the only man to win the New York and Boston marathons and an Olympic Marathon medal. But the victories don't really tell his full story. The 43-year-old has always given back to the sport, especially now that his competitive career is over. When he won Boston in 2014, Keflezighi had the names of the bombing victims -- Martin Richard, Krystle Campbell and Lingzi Lu — scribbled on his bib number. Sean Collier's name was there too. Collier was the MIT police officer killed by the bombers a few days after their attack. Keflezighi is back in Boston to mark the fifth anniversary of his historic win. He'll serve as the grand marshal for Monday's marathon. In a new book, "26 Marathons," Keflezighi writes, "we all have one day when everything clicks. If you recognize when it's happening you can produce something that's bigger than yourself." In the 2018 Boston Marathon, Des Linden certainly produced something bigger than herself. She emerged out of the terrible weather conditions and won the women's open race, the first U.S. runner to do that in 33 years. Linden was no stranger to the Boston Marathon when she won it. Back in 2011, she finished second by just two seconds. She was ninth in 2014 and fourth in 2015, so she was always knocking on the door. She opened it last April. Linden always runs aggressively and you can expect her to do that again on Patriots' Day. Winning a major marathon has a way of clearing the pressure, relieving the burden of expectations. In the past two years we've seen Shalane Flanagan win the New York City Marathon and Linden win Boston. They've demonstrated that American women can run at the highest level, and there are other runners ready to follow in their footsteps — runners like Jordan Hasay, who finished third in the 2017 Boston Marathon, in the fastest-ever marathon debut for an American woman. Linden, Flanagan and Hasay would tell you they run in the footsteps of the pioneers in women's running. At the top of that list is Joan Benoit Samuelson, winner of the first women's Olympic Marathon in 1984. Before that, Samuelson had already won the Boston Marathon twice. 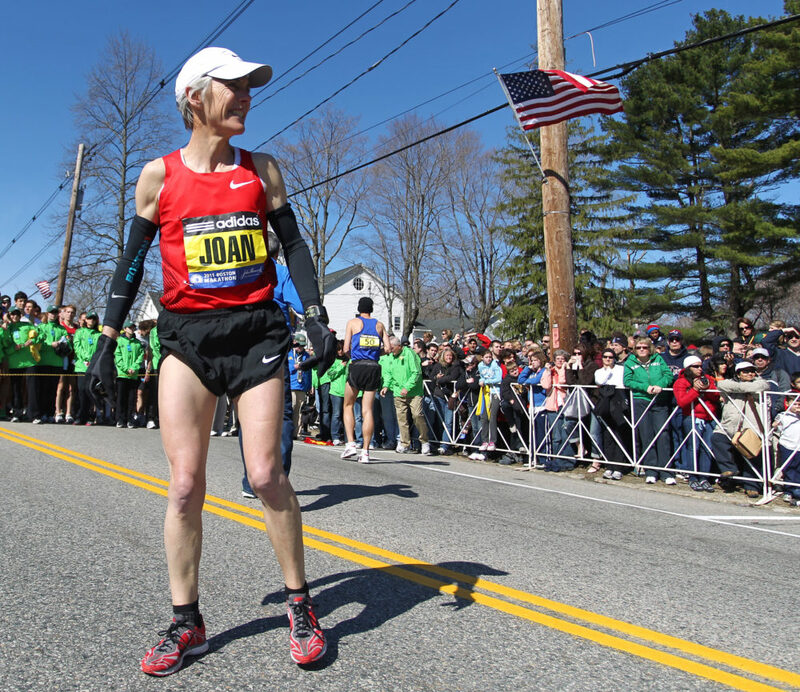 She's running again this year to mark the 40th anniversary of her first Boston win in 1979. Not long after Linden made her history in the 2018 Marathon, Yuki Kawauchi made some of his own. He won the men's open race, the first man from Japan to do that in 31 years. Known as the "Citizen Runner," Kawauchi had to call his boss at the school he worked for to get an extra day off so he could pick up his winner's check the day after the marathon last April. Kawauchi is back to defend his title, but there are other talented Japanese marathoners in the field as the country builds its distance running roster ahead of the Tokyo Olympics next year. There are also four other men in the field who have won this race before. The Boston Marathon always features some of the best wheelchair racers in the world and the 2019 race will be no exception. Switzerland's Marcel Hug will be seeking his fifth Boston win and American Tatyana McFadden will be going after her sixth. 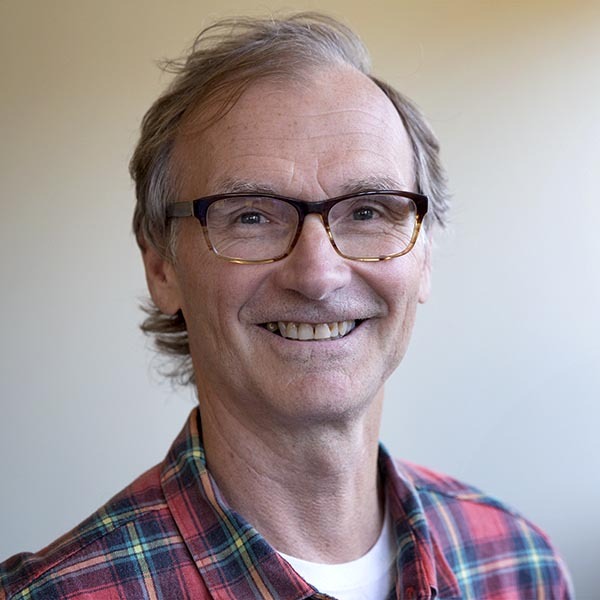 Race organizers and runners are always watching the weather forecast, especially after the driving rain and howling winds that buffeted the 2018 marathon. Officials from the Boston Athletic Association, which has been organizing this event for more than 100 years, want to be ready in case that happens again. They are making arrangements for extra spots along the 26.2-mile course just in case the runners need shelter from the elements. Last April, hypothermia was a problem for many of the more than 2,000 runners who needed medical treatment. 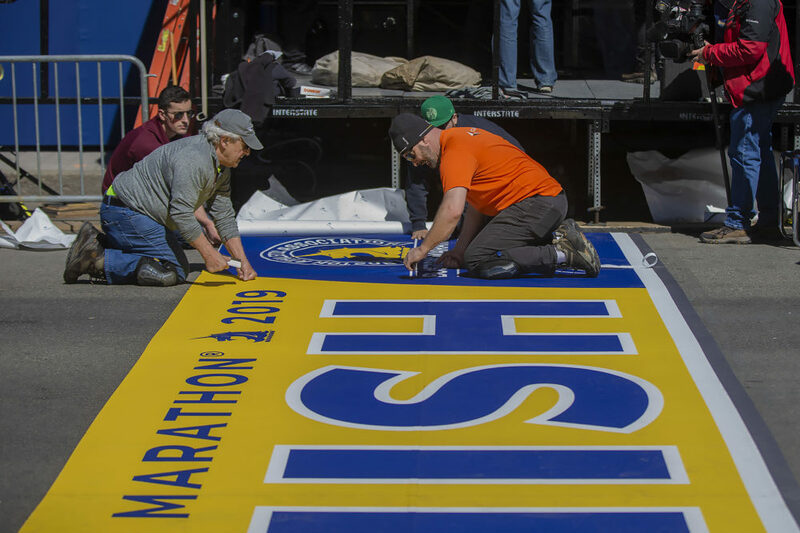 Finally, this year's Boston Marathon is the first that will be run on the actual anniversary of the bombing. The city of Boston has established April 15 as One Boston Day as a way to honor the memories of the victims of the attack. It's a day of public service and acts of kindness. You can find ways to participate here. I started this story with memories of the 2014 race. I was on the air on WBUR all afternoon that day and I never had a script. All I had to do was talk about what I'd seen. The race's story tells itself and will again on this Patriots' Day, the 123rd running of the Boston Marathon.